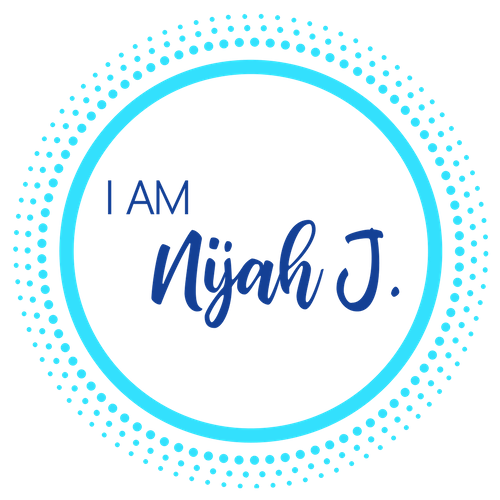 About Nijah | I Am Nijah J.
Nijah is a writer, educator, blogger, YouTube personality, model, speaker, and owner of Let’s Get FAB LLC. She has always been ambitious and driven when it came to matters of her career, earning a Bachelor’s Degree from Rutgers University in Psychology and a Master’s Degree from Kean University. She is a dedicated teaching professional, always searching for ways to deepen her student’s understanding. While teaching is fulfilling, she realized that there was the world outside of the classroom that she needed to tap into and was ready to explore the infinite possibilities. Normally a very private person, Nijah boldly took to social media and began to share the raw and honest truth about areas in which she struggled. She garnered the support of other women who had the same struggles and in doing so created a platform where other women were invited to tell their stories. Ultimately, she has become a voice for her peers on matters of self-esteem, relationships and singleness, fitness, body image, and confidence. Nijah also began to explore other areas of interest, such as enrolling in classes on voice overs, acting, and modeling. In 2014, she even entered and won her very first pageant, earning the titles as Ms. Full Figured USA and Miss Congeniality. She has exercised her love for writing and started a fashion and lifestyle blog, which has allowed her the opportunity to collaborate with the brand Avenue Plus Size Clothing on several promotional campaigns. Nijah has modeled in fashion shows for the brand The House of Thomas Lavone and was featured in international advertorials for Harper’s Bazaar UK and Town & Country UK. She continues to pursue her passion by hosting fitness events, sharing her story at various speaking engagements and blog collaborations. Nijah is guided by her unflinching desire to inspire…one woman at a time. I have been working with Nijah Jihad for 4 years. She is always on time, professional and very committed! She has grown so much as a model by leaps and bounds! She is the epitome of a runway model as well as a fit model. Nijah Jihad has become the first African American curvy model from Newark, NJ to be used in an advertorial in Town & Country UK, Summer 16 and in Elle UK, August 2016. She has the skills and ability to adapt to the many changes in the fashion industry, making her more desirable to other brands for ambassadorship! She is a well-rounded spokesmodel as well. I enjoy seeing Nijah grow into her destiny in the fashion industry as a boss brand.